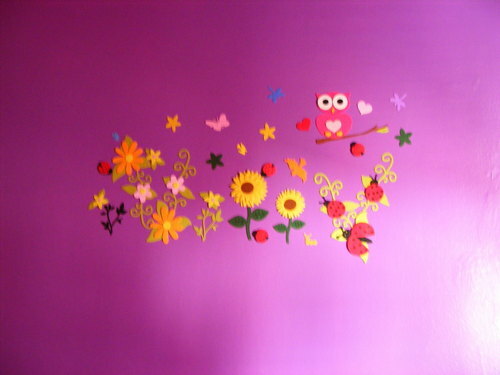 My new room <3 Pink & Purple = EPIC. So lovies this is my new room! I love the purple on the walls! <3<3<3 AND I have a garden on one of my walls LMAO XDDD with and owl XD. HD Wallpaper and background images in the Maria&Jєnn♥ club tagged: brysis amazing idiots wolfie idiot claudia.